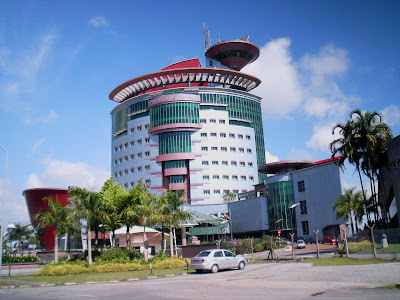 Here's another view of the iconic building belonging to the Bintulu Port Authority. Called the 'Menara Kidurong', it is designed in the form of a huge ship. Bintulu Port Authority undertakes the operation of the Bintulu Port through another sister company called the Bintulu Port Sdn Bhd. my Bintulu History ...3rd Ed.